A few of the 600 students who each received 9 books and a backpack full of school supplies. 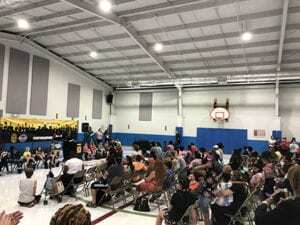 NASHVILLE, TN — Nashville students, parents, and teachers at Glencliff Elementary received a big surprise–just in time for the first day of school today–thousands of books and hundreds of backpacks stuffed with notebooks, pencils, art supplies, and more. 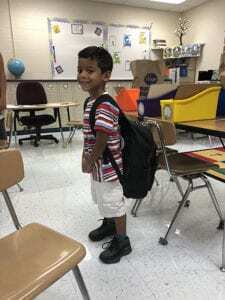 Glencliff Elementary 1st grader with his backpack donated by IUPAT International. The generous donation came from the International Union of Painters and Allied Trades (IUPAT), which represents over 160,000 painters, installers, and finishing workers across the nation, including thousands in Tennessee. Dr. Sito Narcisse, Chief of Schools, spoke at the announcement event with IUPAT leaders and Glencliff Elementary staff. 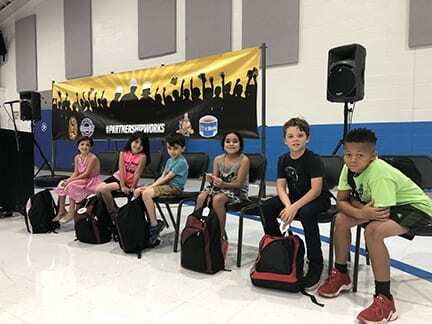 The event at Glencliff Elementary was the largest of four events for IUPAT’s PATCH Foundation, which is distributing school supplies to nearly 2,000 kids nationwide. 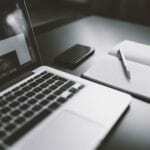 “Reading is foundational to all other knowledge. Students who are stronger readers at just 8 years old are more likely to graduate high school. We’re thrilled and so grateful that IUPAT International and PATCH share that vision,” said Dr. Julie Hopkins, Principal at Glencliff Elementary. Glencliff Elementary is the newest community partner for IUPAT, whose non-profit wing, Painters and Allied Trades Children’s Hope Foundation (PATCH), provides educational and medical services to youth. Glencliff Elementary joins a network of over 90 partner charities and organizations supported by PATCH, including hometown chapters of Big Brothers Big Sisters, Special Olympics, United Way, and the YMCA. Founded in 2001, PATCH Foundation is the International Union of Painters and Allied Trades’ (IUPAT) 501(c) 3 non-profit organization. The group works to support organizations that provide educational and medical services for children, along with local sports programs across the United States. The International Union of Painters and Allied Trades (IUPAT) represents over 160,000 active and retired members in the United States and Canada. Members work in the Finishing Trades as industrial and commercial painters, drywall finishers, wall coverers, glaziers, glass workers, floor covering installers, sign makers, display workers, convention and show decorators and other trades occupations. IUPAT membership also extends far beyond the workplace to help shape communities through an abiding commitment to service.